In fact, you have no choice in front of things but to be stronger. If you feel tired, you can take a short break, and then go on. You can lose, but you can’t give up. This kind of efforts call struggle. In any occasion we should keep in mind to struggle for ourselves, even in poker games. Because others just want you to lose, why not to buy NTP POKER marked playing cards for yourself? They are your true friends in poker games, they want you to win, and that is also our hope. 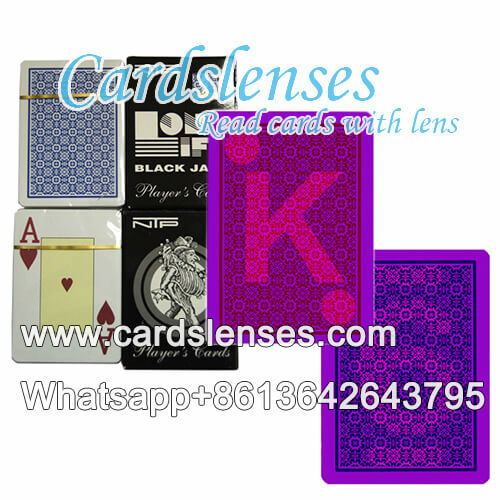 NTP POKER cards are from Europe and the material is 100% plastic, you can buy our blue or red marked deck, or you can send your NTP POKER playing cards to us, we can make the luminous invisible ink marks for you. Special request you can contact us by email or WhatsApp.